Do you start engaging people AFTER they are hired? Do you wonder why some people leave shortly after they are hired? Do you see engagement as a silo to be done later? 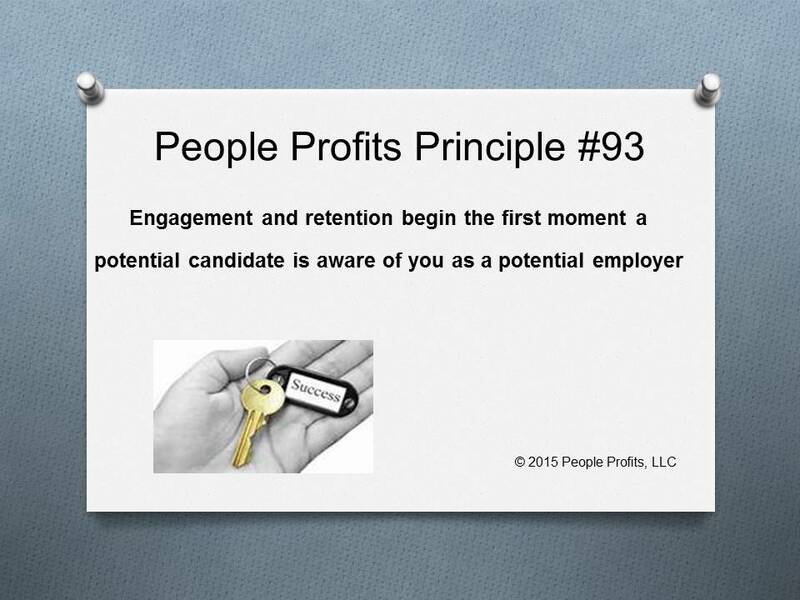 Engagement and retention begins the moment that someone becomes aware of you as a potential employer. The message must begin then and must flow through the hiring and on boarding process. The message must be real and a reasonable characterization of the reality of working with you.